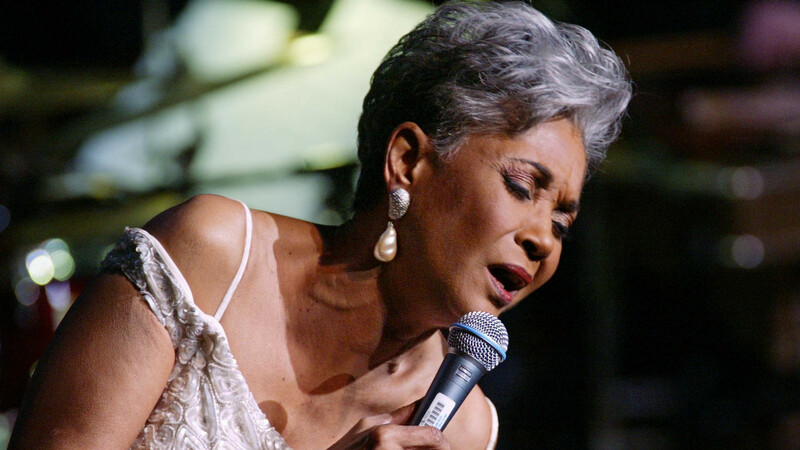 Nancy Wilson died Thursday after a long illness at her home in Pioneertown, Calif., her manager Devra Hall Levy told NPR. She was 81. Born in Chillicothe, Ohio, in 1937, Wilson has recounted in interviews that she started singing around age 3 or 4. "I have always just sung. I have never questioned what it is. I thank God for it and I just do it," she told Marian McPartland, host of NPR's Piano Jazz in 1994. She never had formal training but was influenced by Dinah Washington, Nat "King" Cole, and others. Wilson says she knew at an early age what she would do for a living. During her decades-long career, Wilson performed jazz ballads, standards, torch songs, show tunes and pop songs. She told McPartland that she loves a song with a good story and good lyrics. A song that has a beginning, middle and an end. After attending Central State College in Ohio for one year, she left to pursue music full time. She had been touring continuously in her 20s when she met saxophonist Cannonball Adderley. He suggested she move to New York and in 1959 she did. Many successful singles and albums followed. From 1996 through 2005, NPR listeners will remember Wilson as the host of Jazz Profiles, a documentary series that profiled the legends and legacy of jazz. More than 190 episodes were produced. In the interview on Piano Jazz, McPartland described Wilson as a multi-talented entertainer. She didn't just sing, Wilson made guest appearances on TV variety programs and acted in several TV series. As Variety reports: Wilson may be remembered by millions of TV viewers who recall her 1974-75 NBC variety series, "The Nancy Wilson Show," for which she won an Emmy. She was frequently a guest herself on the variety shows hosted by Carol Burnett, Andy Williams and Flip Wilson as well as acting on "The Cosby Show" and dramatic series like "The F.B.I." and "Hawaii 5-O." The National Endowment for the Arts awarded Wilson a "Jazz Masters Fellowship" in 2004 for lifetime achievement. In 1998, she received the NAACP Image award — having been active in the civil rights movement, including the 1965 march on Selma, Ala. In 2011, she stopped touring following a show at Ohio University, but had hinted years earlier that she had thought about retiring. The Associated Press reports that in 2007, when she turned 70, "Wilson was the guest of honor at a Carnegie Hall gala. 'After 55 years of doing what I do professionally, I have a right to ask how long? I'm trying to retire, people,' she said with a laugh before leaving the stage to a standing ovation." According to a family statement, Wilson did not want a funeral. A celebration of her life will be held later.